My daughters are fans of recording themselves. They often film the strangest things and enjoy watching the playback over and over again. 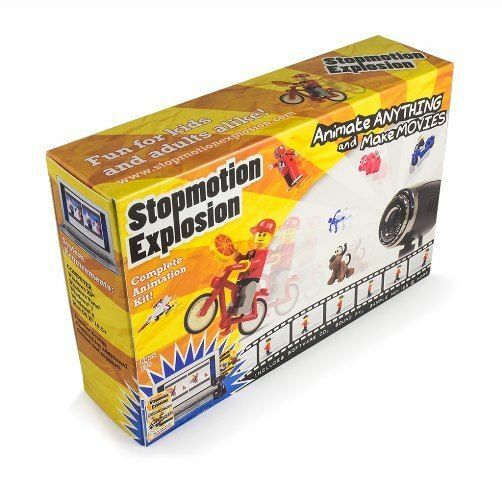 Recently, we were provided the opportunity to review Stopmotion Explosion Animation Kit by Stopmotion Explosion . Due to the girls’ love of videography, I though this review would be a nice fit for them and would add a dose of fun to our home school. 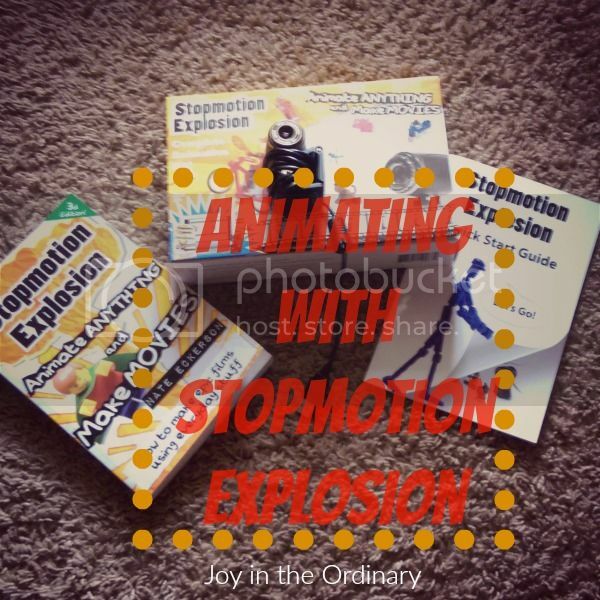 The Stopmotion Explosion Animation Kit includes the Stopmotion Explosion: Animate Anything and Make Movies book, software CD, a quick guide, and a camera with microphone. The kit included everything we needed to make our stills come to life. Before we could begin any of the projects, I had to download the required software to our computer. We used a desktop PC to create our movies. There are system requirements to use the software. It works on Mac OS X 10.7+ and Windows XP, Vista, 7, 8, and 10. Internet access isn’t a requirement if you can use the CD to add the software, but there is additional support and content that can only be access from the internet. I am not a very technical person. I am one who is always willing to learn new things, but some things take me awhile to grasp. This is one of those things which also had an effect on my ability to teach my daughters the best way to use the program. Now, I am not saying that Stopmotion Explosion is a difficult product to use, but I am saying that you would want to utilize the book and quick start guide in order to have an enjoyable experience. We were able to complete our first animation without sound using the quick start guide alone. It was really easy once I read the guide. The point of Stopmotion Explosion is to teach people how to create their own animations using still objects. The girls’ decided to use Playmobil figures to create an animation. The first step to creating a movie using toys such as Playmobil figures is to set the stage or the scenery. Since we used our PC we were limited to where we could film since the cord to the camera could only go so far. The girls chose to use their Calico Critter house as the backdrop for their movie. After they set the stage, the placed the Playmobil figures in their positions. When the figures were in their initial picture, they snapped a figure. These are the stills I mentioned earlier which are technically known as frames. In order to create a movie, several frames are taken with the objects moving just a bit in each frame. The girls were precise and used finesse when moving their figures. It was fun to see them focus on their projects. Once all of the frames were taken, they were able to combine them using the Stopmotion Explosion software. The frames are actually taken in the software. It isn’t a requirement to use the camera that comes with the program, but the camera would need to be connected to the software when taking the still images. Now back to the movie, once all of the frames had been taken the frames were combined, and we were able to see all of the movements together which made the motion. It was neat being able to see how each tiny movement was made to appear as if it all happened once. We definitely learned something new using Stopmotion Explosion. We are still learning the ins and outs of Stopmotion Explosion . The girls and I are looking forward to making more animations using more technical skill and knowledge. I am happy I was able to share this opportunity with my daughters since they appreciate new projects of all types.